It's Christmas Eve at Seoul's ultra-luxurious, 108-story, residential high-rise, Tower Sky, and the annual White Christmas gala is planned once again to dazzle the elite tenants and their VIP guests. The holiday revelry is in full swing on a truly magical and unforgettable evening when unthinkable disaster strikes. Out of the reach of help, chaos and panic erupt. Now two strangers, Dae-ho and Young-ki, must summon the strength and courage to save thousands But at what cost? 108 Floors of Terror and Help is Out of Reach! 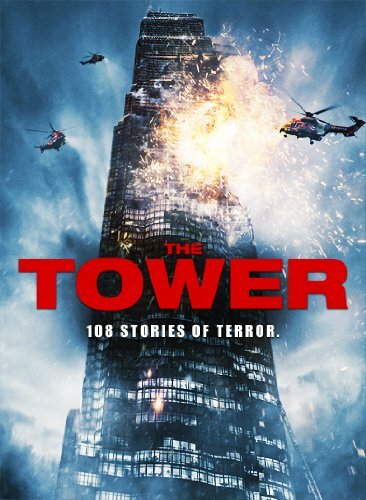 LOS ANGELES July, 1, 2013 For Immediate Release When unthinkable disaster strikes, two strangers become the only hope of thousands of holiday revelers in the heart-pounding, action-packed drama The Tower , burning up DVD July 2 from CJ Entertainment America. It's Christmas Eve at Seoul's ultra-luxurious, 108-story, residential high-rise, Tower Sky, and the annual White Christmas gala is planned once again to dazzle the elite tenants and their VIP guests. Building manager Dae-ho, a single father, reluctantly disappoints his young daughter again, cancelling plans to work the elegant event. Kitchen manager Yoon-hee, who has a secret crush on him, offers to babysit. Respected fire chief Young-ki has finally agreed to a date night with his long-suffering wife and the extravagant gathering is the perfect venue. The holiday revelry is in full swing on a truly magical and unforgettable evening when unthinkable disaster strikes. Out of the reach of help, chaos and panic erupt. Now two strangers, Dae-ho and Young-ki, must summon the strength and courage to save thousands But at what cost? The Tower is presented in widescreen (aspect ratio: 2:35.1) and 5.1 digital sound with English subtitles. Special features include "Making Of: The Tower" and "Making Of: CG" featurettes; deleted scenes; and trailers. Launched in 2005, CJ Entertainment America (CJ Ent.Am) is the U.S. arm of Asia's premier entertainment company and Korea's #1 filmmaker and distributor, CJ Entertainment & Media (CJ E&M). Since 1995, CJ E&M has provided original, award-winning content across an array of genres, including drama, comedy, action, sci-fi/horror and special interest for theatrical, television, DVD, digital download, interactive game publishing/portals and music. A prominent investor in entertainment co-ventures in overseas markets (including 1492 Pictures, DreamWorks and IMAX in the U.S.), CJ E&M also develops and operates 200 premium multiplex theater sites under the CGV Cinemas banner (including a flagship site in Los Angeles) and is a leading concert promoter, helping establish "K-pop" as a successful world music genre. The cornerstone of the Korean entertainment industry boasting the country's largest and most significant library, with hundreds of films CJ E&M is also a singular presence throughout Asia, Europe and in the States and a key force in popularizing contemporary Korean and Pan-Asian cinema around the world. Top films include The Man From Nowhere; The Good, the Bad, the Weird; A Bittersweet Life; Joint Security Area; and the Vengeance trilogy, to name a few. Visit us online at: www.cjent.co.kr/eng (English) or www.cjent.co.kr (Korean).